• By using the Official Store of the Montreal Alouettes, you acknowledge having read and understood these conditions of use and, accordingly, you agree to abide by them as well as any future modifications which may be made. These conditions of use represent an agreement between you and the Montreal Alouettes. • These conditions of use may be subject to change, addition or deletion at any time. Any such change will be posted on this page. Also, if we make major changes in our current conditions of use, they will be posted at least thirty (30) days prior to their coming into force and users who have forwarded their email addresses to us will be notified directly thereof by electronic mail. Please refer to these conditions of use regularly in case any changes are made to them. • If you do not agree to be bound by these conditions of use, you should not use the Montreal Alouettes 's Internet site. In addition, should you consider any future amendments made to these conditions of use to be unacceptable, you can cancel your account with us at any time. • The Montreal Alouettes operates its Internet site from its offices in Canada. The Montreal Alouettes does not make any representation to the effect that all items on its Internet site may be used in other locations. People who access the Official Store of the Montreal Alouettes do so at their own initiative and are responsible for complying with all laws applicable to them. 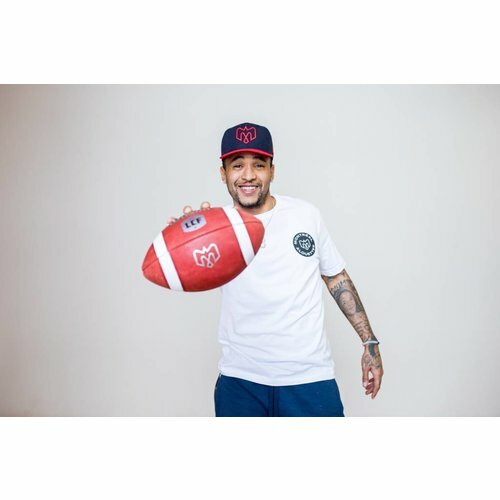 • By using the Official Store of the Montreal Alouettes, you acknowledge and agree that these conditions of use are governed by laws applicable in the Province of Quebec and that any litigation ensuing from, or related to, the use of the Montreal Alouettes 's Internet site and services will be subject to the jurisdiction of the Courts of the District of Montreal, Province of Quebec. • The Montreal Alouettes may modify, cancel or terminate any item contained in its Internet site, at any time, including the availability of any function, database or content. The Montreal Alouettes may also impose limits on certain items or restrict the access to certain sections of its Internet site without prior notice and without incurring its liability. • All the items contained in the Montreal Alouettes 's Internet sites are offered for your personal use for non-commercial purposes. 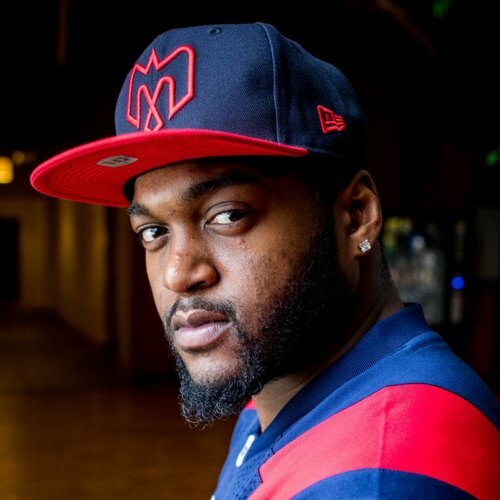 It is prohibited to use the items contained in the Montreal Alouettes 's Internet sites for commercial or advertising purposes without the written consent of the Montreal Alouettes. • When you register, you must select a password and a user name. You cannot (i) choose or use someone's password with the intention of pretending to be that person; (ii) use a password in which someone else has rights, without that person's authorization; or (iii) use a password or a user name that the Montreal Alouettes, at its sole discretion, considers offensive. • You are responsible for maintaining the confidentiality of your password and user name. You should notify the Montreal Alouettes as soon as possible by filling the form in our Contact us section. Any known or suspected use of your account, or of any known or suspected breach of security. • You are responsible for any use of your accounts on the Montreal Alouettes 's Internet sites. The Montreal Alouettes cannot be held liable for the unauthorized use of your account or for any loss or damage arising in particular from the non-compliance with the security measures mentioned in this section. • The Montreal Alouettes reserves the right to charge fees for future access to its Internet sites, or any section thereof. The Montreal Alouettes should charge new fees for access to any section of its Internet site, it will notify you in advance in case you would like to close your account. • The Montreal Alouettes 's sites contain hyperlinks to Internet site managed by third parties. By activating these links, you may have to leave The Montreal Alouettes's site. The Montreal Alouettes has no control over Internet sites owned by third parties. These sites are managed entirely by third parties and the Montreal Alouettes cannot make any declaration whatsoever concerning the quality or overall content thereof nor regarding the quality of the products offered or the security of performing transactions on the sites in question. The fact that third party sites are identified on the Montreal Alouettes 's Internet site should not in any way be interpreted as an endorsement by the Montreal Alouettes and does not incur its liability in any way. The Montreal Alouettes cannot be held liable for possible damages arising from the use of these sites. All complaints about third party sites should be addressed to the administrators of those sites. • The trademarks and logos used or posted on the Official Store of the Montreal Alouettes are trademarks and logos registered or not by the Montreal Alouettes or third parties. Nothing on the Official Store of the Montreal Alouettes may be interpreted in such a way as to allow, directly or indirectly, the use of such trademarks or logos without the prior written permission of their owner. Without limiting the generality of the foregoing, it is prohibited to reproduce the trademarks and logos displayed on the Montreal Alouettes 's Internet site for commercial or advertising purposes or to increase the number of visitors to your site. • All the items on the Official Store of the Montreal Alouettes (including, without limitation, the texts, articles, photographs, images, illustrations, audio and video excerpts, software, etc.) are protected by copyright and belong to the Montreal Alouettes or third parties acting as content providers. Except for certain clearly stated exceptions, no items on the Official Store of the Montreal Alouettes must be interpreted as giving you any right whatsoever with regard to the intellectual property of the Montreal Alouettes or of a third party acting as a content provider. • Subject to section 8.3 hereof, you may not copy, reproduce, modify, publish, distribute or participate in the transfer or sale of, or create derivative works from, translate, download, grant under license, or in any other way exploit, any item offered on the Official Store of the Montreal Alouettes (including any software), in whole or in part. • You can download or copy only for your personal use for non-commercial purposes items from the Official Store of the Montreal Alouettes provided you maintain all the intellectual property notices they contain. Copying or memorizing any item for purposes other than personal use is strictly forbidden without the prior written permission of the Montreal Alouettes or the holder of the copyrights identified in the notice of intellectual property. • You hereby indemnify, defend and hold the Montreal Alouettes, its directors, officers, senior executives, shareholders, employees, affiliated businesses, representatives and content providers (collectively referred to as " The Montreal Alouettes") harmless from and against any and all monetary condemnation in principal, interest, legal and extrajudicial costs and any other damages, including but without limitation, all reasonable legal costs incurred by the Montreal Alouettes related to any claim, proceeding, action or stay ("Claim") ensuing from the non-compliance, by you or any other user of your account, with these Conditions of Use. The Montreal Alouettes reserves the right to participate in the defense of any such Claim and to be represented by an attorney of its choice. • The Official Store of the Montreal Alouettes and the items they contain are offered to you on an "as is" basis and at no charge by the Montreal Alouettes, without warranties of any kind, either express or implied, including, without limitation, warranties of title or implied warranties of merchantability or fitness for a particular purpose, use, availability, validity, accuracy, reliability of the items reproduced on said sites or as to the results ensuing from the use of such items. Without limiting the generality of the foregoing, the Montreal Alouettes makes no representations about the comprehensive nature of the results of your searches conducted on its Internet sites. You hereby acknowledge and agree that your use of the Official Store of the Montreal Alouettes is at your own risk. • The Montreal Alouettes makes no representation related to the accuracy or reliability of, nor does it endorse any opinion, declaration or other information published or distributed on its Internet sites by any user, content provider or other person. • The Montreal Alouettes disclaims all liability related to any error which may be found on its Internet site. Thus, the Montreal Alouettes and any third party providing content on the Official Store of the Montreal Alouettes, their related companies, officers, employees, representatives or agents cannot in any way be held liable for any damage related directly or indirectly to the use of the Official Store of the Montreal Alouettes, in particular, the loss of data or profits ensuing from the use of items on said sites, errors or omissions contained in the items or the inability to use such items. • The Montreal Alouettes can, at its sole discretion, cancel or suspend your account to its Internet site in whole or in part for any reason, including, without limitation, the non-compliance with these conditions of use. You can browse on our Website without giving us any personal information. For purchases made on our website, we also collect your credit card-related information, your billing and shipping address, telephone number, email address and gift message (if provided) for the purposes of processing and administering your payment and delivering the products you ordered. When you return or exchange previously purchased merchandise, you may be asked to give your name, address, and phone number. We collect this information to administer our loss prevention program and help detect and prevent fraud. For merchandise returns where a customer receives a refund on a credit card, we will collect and use credit card-related information to process and administer the refund transaction. Marketing Communications: When you sign up to receive our newsletter or other promotional communications via email, we may collect personal information such as your first and last name, email and interests in order to provide you with the service you requested. We want to contact you only if you want us to. You are free to choose at any time not to receive our promotional communications by clicking the “Unsubscribe” button that appears at the bottom of our e-mails or by contacting us as set out in the “Unsubscribe” section below. Online Registration: Some of the features available on our Website may require you to register. When you register, we collect your first and last name, email address and a password that you select in order to provide and otherwise administer the service you requested. At the time you register online, we may ask your permission to send you future marketing information from the Montreal Alouettes Football Club and the Official Store of the Montreal Alouettes. To withdraw your consent for such communications, contact us as set out in the “Unsubscribe” section below. Contests, Promotions, Surveys: When you enter a contest, participate in a promotion, or respond to one of our surveys, we may collect your name, address, phone number and e-mail address. We use this information to administer your participation in the contest or promotion and, for surveys, to understand our customers and enhance our product and service offerings, promotions and events. Customer Service: When you submit a comment or question to customer service via e-mail, we may collect personal information such as your name, e-mail or mailing address and/or a phone number in order to respond to your comment or question. We also collect various types of information that you provide in order to allow us to answer your question. Service Providers: We may transfer your personal information to third parties who provide services on our behalf, such as process payments, host our Website, send email or other communications on our behalf, run our contests and promotions, or ship our packages. These service providers are subject to a nondisclosure agreement and to other legal restrictions that govern their use of information we provide them and they are not authorized to use or disclose personal information for any purpose other than to provide services on our behalf or as otherwise required by applicable law. Legal: We and our service providers must give your personal information in response to a search warrant or any other legally valid inquiry or order or to an investigative body in the case of a breach of an agreement or contravention of law, or as it is required by applicable law. When you visit our Website, we collect the Internet Protocol address of all visitors to our Website and related information such as the Internet browser you are using, the computer operating system you are using, time spent visiting the Website, usage patterns within the Website, and the domain name of the Website from which you linked to our site. We collect this information to help us understand and improve your experience on the Website. If you do not want to continue to receive e-mail from the Montreal Alouettes Football Club and the Official Store of the Montreal Alouettes or if you want to deactivate your account, please submit a request electronically at boutique@montrealalouettes.com. Please note that every time we send you an email, we will give you the option to unsubscribe from our e-mail list, so you'll be able to stop receiving our e-mails at any time. You may also contact us as set out under “Contact Us” above. Please allow 10 business days for your request to take effect. We appreciate your patience and understanding in giving us time to carry out your request. To provide you with an increased level of security, online access to certain personal information may be protected with a password you select. We strongly recommend that you do not disclose your password to anyone. We will never ask you for your password in any unsolicited communication. Notwithstanding the foregoing, you should be aware that, unfortunately, no data transmission over the Internet can be guaranteed to be secure. As a result, we do not represent, warrant or guarantee that personal information will be protected against loss, misuse or alteration and does not accept any liability for personal information submitted by you, nor for your or third parties’ use or misuse of personal information. • If you use a public computer, always close your session when you are done. • Do not disclose your passwords. Remember that somebody who knows your password can access your account. • When you create a password, use at least 8 characters – a combination of letters and numbers is the best. Don’t use dictionary words, your name, your e-mail address or any other personal information that can be easily obtained. It is also recommended to change your password often. • Use a different password for your different accounts online. • Beware of unsolicited e-mails and unsolicited phone calls. In addition, we will never contact you to ask you information about your credit card number or bank account. Information like this should be sent to us only when you do a transaction, by contacting us directly or by modifying your account online. If you receive a suspect e-mail with a link to update the information on your account, do not click on this link. Go directly into your account on boutique.montrealalouettes.com. If a stranger contacts you, sends you an unsolicited email or asks you to confirm or give your password or personal or banking information, ignore the request and contact us immediately. For security reasons and to prevent fraud, orders paid by credit cards through this Website will be accepted by the Official Store of the Montreal Alouettes only if the billing name and address match the name and address on the credit card of the buyer. If the information does not match, your order will be refused, even if the transaction was pre-authorized by your bank. In that case, the amount of the order will be available for use only when the credit will be back in your account. This can take from three to five business days. You can browse our Website, but you cannot make a purchase. You also cannot become a registered user, or use any service that asks for personal information. Our site is not designed for children. We do not wish to collect personal information from children under 13. This policy is designed to protect children. 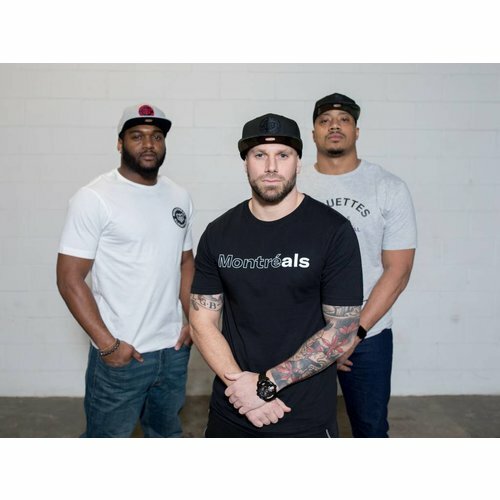 All the Official Store of the Montreal Alouettes products, with the exception of player jerseys, personalized products, special orders, undergarments, swimwear and memorabilia, can be returned or exchanged within 30 days of the original purchase date. Please visit the Customer Service page for full details.